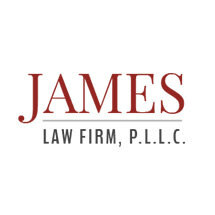 James Law Firm represents businesses and individuals with business, tax, and estate planning matters. The firm advises businesses with everyday corporate and transactional matters, such as minutes, meetings, contracts, commercial debt collection, and more complex matters such as commercial leases, asset and business sales, and stock transactions. The firm develops estate plans for both small estates and large estates and provides the advice with respect to estate planning, probate, and real property matters. The firm also advises individuals and businesses on state and federal tax law matters, such as planning, opinion writing, and advising on tax implicaitons for business transactions, and represents taxpayers in audits, appeals, and cases.